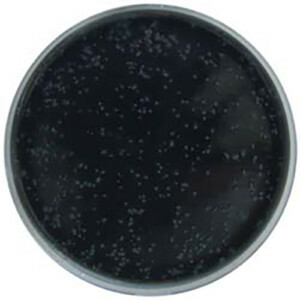 Chromogenic medium for detection of Clostridium difficile. Clostridium difficile (C.difficile) is the leading cause of nosocomial infectious diarrheoa in adults. These infections occur mostly in patients who have both medical care and antibiotic treatment and have become more frequent and more difficult to treat in the last years due to the emergence of highly toxigenic C.difficile strains. Although PCR has become the leading C.difficile detection technique, culture is essential for strain typing and antimicrobial susceptibility testing. CHROMagarTM C.difficile is a new fluorogenic culture medium, extremely sensitive and selective, especially designed to simplify and speed up (24h) the culture of C.difficile.